“We feel as though we have more of an idea of where to go from here. We found answers to a lot of the questions we had and also extra things that we had not even thought about before.” This was the experience of one couple and echoed by many other visitors to the region’s first Fertility Fayre. More than 60 people attended the free event hosted by Bourn Hall, which was designed to help those starting a family get ‘fertility fit’ and held to coincide with National Fertility Awareness Week. 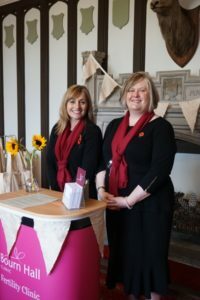 Visitors said they appreciated the relaxed and informal atmosphere which allowed them the opportunity to spend time talking to a range of health support groups and therapists, as well as Bourn Hall experts. Tanya Turner, Head of Patient Services, was delighted by the positive feedback, she said: “It is really important that people get the right advice about fertility sooner rather than later and that is why we had the idea of hosting the region’s first Fertility Fayre. 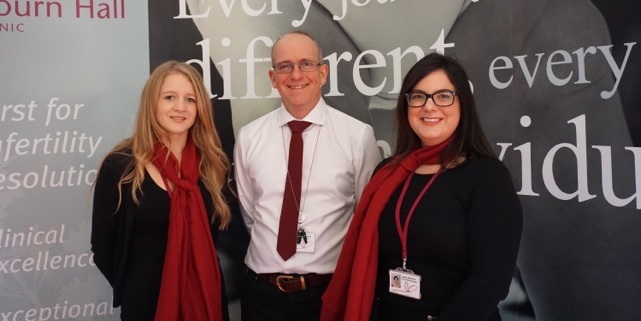 “We wanted to encourage those who are struggling to conceive or might suspect they have a fertility problem to seek advice and to get the answers they needed in a warm and welcoming environment. “Lots of people said how useful it’s been, so we will definitely be looking to make this an annual event,” Tanya added. Stalls included exhibitors from Access Fertility, Cambridge Reflexology Health, CAMQUIT, True Health Clinic, Proxeed, Genesis Genetics and Weight Watchers. Bourn Hall organised stands with information about free IVF options, advice about NHS funding and eligibility criteria, fertility health and wellbeing and the Bourn Hall Fertility Support Group. 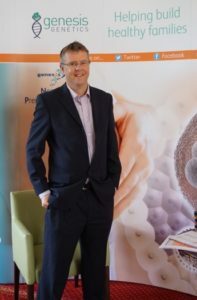 David Chrimes from Genesis Genetics commented “I found the day really useful and had lots of very interested people come and talk to me so I certainly found it very worthwhile. “Thank you for the opportunity to be part of the Fertility Fayre, I’m glad that I was a part of it and feel I made some good contacts, congratulations on a great event.” – Lotus, Cambridge Reflexology Health. Thank you to The Rural Coffee Project which provided steaming cups of coffee and other refreshments throughout the day – even though it was sunny it was cold! Bourn Hall offers a comprehensive fertility health and wellbeing checks tailored to your personal situation to help increase your chances of starting a family. We also run many events throughout the year to help you to understand your fertility – take a look here.